Benefits from pruning - Besides the personal benefits to you, it is in fact your garden that will benefit the most directly from pruning and your garden that will enjoy the significant impact pruning has on it. When you cut something it grows new life. That's just one of the benefits from pruning. How does the magic happen? Relax, you're not about to read a scientific article about plant anatomy explaining how pruning impacts the plant. In this case, I will just say - Because it does! And it is Magic! And if you don't believe me... try it for yourself. Survival - This means the plant invests incredible resources sending as many new leaves and branches out into the world. This is in order to allow it to 'soak up' more sun. And sun, means life! Next generation - the act of 'cutting' triggers the same mechanism as survival, it unleashes the power of life. This means that when the plant is in distress or about to lose its life, it will make sure to first send new 'baby's' out into the world. This is to be its legacy, and an assurance of it's continuity. That is also how it become your benefit. Just point the gun (or shears :) towards your plants, and they will begin to grow, develop and produce - almost anything. 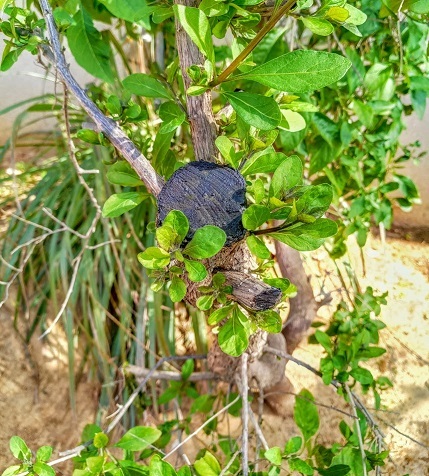 Stress is another one of the major benefits from pruning... No, I didn't make a mistake - after being pruned a plant will be in a state of stress, and yes, that is a good thing. 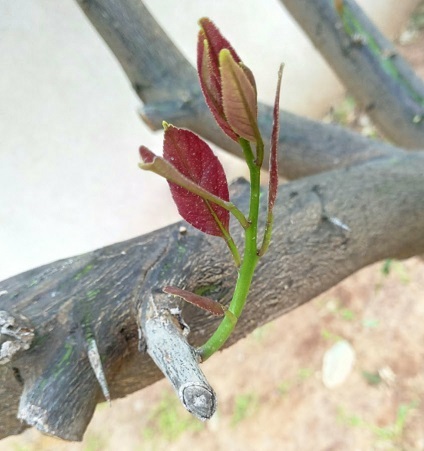 So every time you prune your plants, think of it as creating new life. In fact, you're not just creating new life, you're keeping your plants young, vigorous, healthy and blooming. Now grab your shears, put on some work gloves, and hold your plant in such a way that it will understand that if it doesn't do what you ask for - you'll cut it! Show him who the real boss of the garden is!! (just kidding)! Always keep in mind that even in the wilderness trees and plants brake, or burn in wildfires... and they all recover. So you too, let them recover from their wounds, but don't be afraid to prune. You'll see how much you come to love it, and most importantly how quickly you will get back in-touch with your plants. Yes, many plants can live a full life without ever being pruned. Pruning is not a must. It's a 'nice to have'. But it is a magical skill that, in my humble opinion, everyone should grow and nourish. Happy pruning! shrub removal - Of course having a gardener do it is easier, but getting down and dirty is more fun and will give you loads of satisfaction. 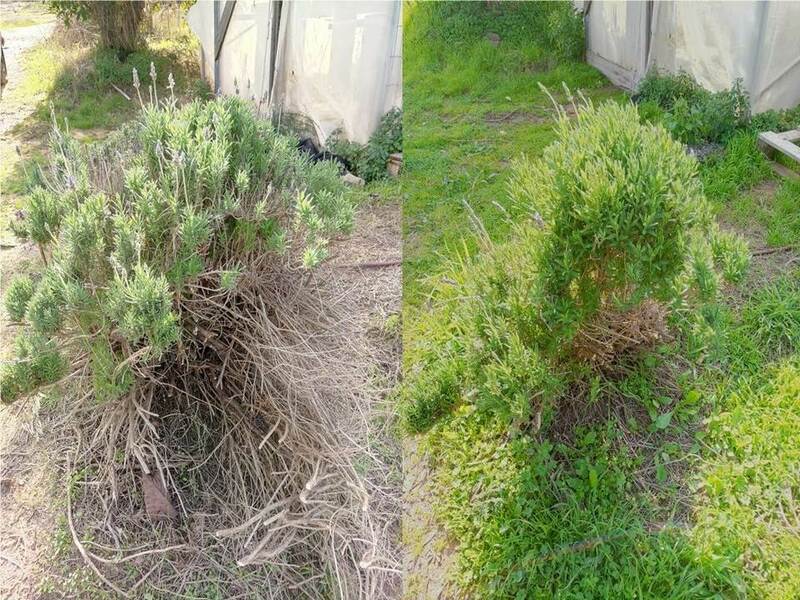 You can DIY the removal of old shrubs! 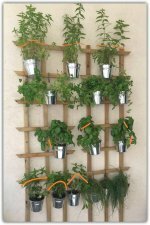 vertical herb garden - on this specific garden, drainage is more important than pruning. Lets do both. Providing general guidelines on 'how to prune' any kind of plant is important, but there are plants, and there is YOUR plant. So despite there being loads of information on this site, I also provide specific and personalized support. If something wasn't clear, or you're not sure of your plant's name, simply send me a picture with your question. Use the form below and I'll get back to you. In the mean time, see what others are asking.